Alexander Technique for neck pain offers hope for resolution of symptoms using organic and constructive practices that address posture and ergonomics. Alexander Technique is an educational therapy option that teaches people how to improve the way they stand, sit, recline, breathe and do everything in their lives with the goal of maintaining harmony with gravity and incorporating ideal ergonomic motion practices. Alexander Technique is not a medical therapy and practitioners usually refer to themselves as teachers, rather than care providers. Alexander Technique is complementary to any other form of treatment and can be used without risk alongside any type of traditional or alternative neck pain treatment. In fact many complementary caregivers recommend Alexander as an ideal accompaniment to direct neck pain therapy. We have previously written about the more general use of Alexander Technique for back pain, but now focus this essay specifically on its applications for acute and chronic neck pain sufferers. Alexander Technique can be learned by anyone at virtually any age. There are many ways to add the practices to your life, including studying in person with a real teacher, watching videos or reading books on the subject. Alexander Technique is widely taught in literature and on various online resources. However, since this is truly a hands-on therapy, we recommend that the best results can certainly be achieved from working one-on-one with an expert teacher or at least joining a group class environment. Alexander Technique is not overly complicated and the basics can be learned and mastered in a relatively short timeline. Students are instructed to identify the problems they are currently demonstrating and why these postures and movements have negative consequences. Additionally, students are then instructed to correct their postural, breathing and movement-related mistakes in favor of “ideal” or “optimized” alternatives. Once students know how to fix themselves, all it takes is daily practice to reinforce good habits and build better life scenarios for the future. 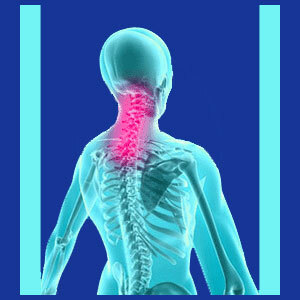 Alexander Technique will not correct any structural spinal problem, but it may help to resolve muscular and neurological pain due to poor posture or bad ergonomics. Most Alexander Technique teachers also believe that improper breathing is a source of great internal tension in the body and that this tension can be expressed as pain. Therefore, if the patient, their doctor or their physical therapist suspects that posture or poor movement habits might be causative for pain, then Alexander Technique is certainly worth considering. However, if the patient is suffering from some spinal problem, such as a cervical herniated disc, spinal stenosis or spinal curvature, then Alexander is probably not a good fit. For appropriately indicated conditions, Alexander Technique might reduce symptoms or even provide a true and lasting cure without surgery or the use of any dangerous drugs or injections. Alexander therapy is risk-free and teaches excellent life skills for proper posture and movement, even if it does not actually cure neck pain. Since Alexander Technique can be learned using so many different tools, there is no harm trying to acquire the knowledge using free or low cost methods and then gauging the results before considering spending money on actual sessions with a teacher. Alexander Technique is only useful for select neck pain issues involving muscular tension that is related to non-structural posture problems or repetitive strain caused by incorrect ergonomics at work or home. However, much like chiropractic, Alexander Technique does not claim to cure specific health concerns. Instead, the system is geared towards bettering health and wellness and therefore might help to relieve pain and prevent problems caused by many different circumstances. Dorsalgia patients would be best served viewing Alexander Technique as a lifestyle modification system and as preventative wellness care, rather than neck pain treatment, specifically. If you feel that you could use improvement in your posture, ergonomics or breathing, contacting an Alexander Technique teacher is one option toward bettering yourself, your life and your overall health. For more information ask your doctor for a referral or contact an Alexander Technique provider directly.